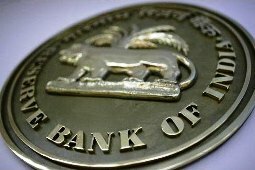 Industry associations, including Federation of Indian Chambers of Commerce and Industry and Federation of Indian Export Organisations will meet top Reserve Bank officials in Mumbai on Wednesday to discuss various issues like the flow of easy and affordable credit to small and medium exporters ahead of the announcement of the annual credit policy for 2011-12. The RBI is scheduled to announce the annual credit policy for 2011-12 on May 3. Industry representatives are expected to press the RBI to lower interest rates so that credit becomes cheaper for them in the customary pre-policy meeting. At the same time, exporters will pitch for higher credit flow to the Micro, Small and Medium Enterprise sector. Banks should follow the RBI stipulation of 12 per cent of total credit for exports, exporters body Federation of Indian Export Organisations president Ramu S Deora said. "However, export credit fell to as low as 4.1 per cent of the net bank credit in December, 2010, as against 9.8 per cent in March, 2000,"
The RBI may consider setting up an expert group to make an assessment of the reasons for the decline and how it can be stemmed to ensure the export sector remains on a high growth trajectory, he said. Deora also said banks are insisting on credit rating to MSME export sector as banks can lend money to exporters only when their credit rating is high. "Credit rating has a high cost component, involves tedious paperwork, filling up of forms besides processing charges by the banks," he said, adding there are no separate guidelines for SMEs, including proprietor and partnership companies. "The rating criteria does not allow such companies to get good rating only because of the nature of the concern," he said.